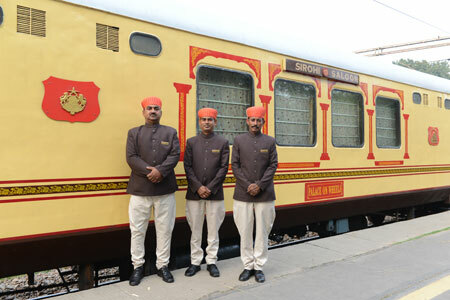 Palace on Wheels has the reputation of being one of the top and the most luxurious train of the world. With the same anticipation, I arrived at the Safdarjung Railway Station in Delhi for my check-in. I was marvelled with the whole scenario, for hosts greeted me with beautiful flower garlands, and a traditional ‘Namaskar’. The ceremonial welcome was something new to me. 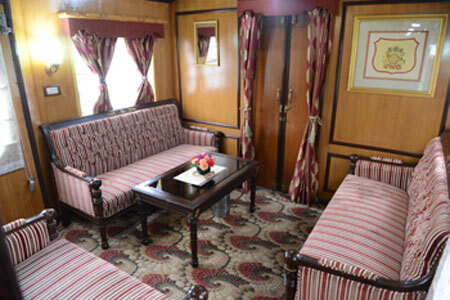 As I entered Palace on Wheels train, I was awed with the interiors that best recreated the environment reminiscent of the splendour of former princess. After getting a warm welcome, I was quite excited to know what this seven nights and 8-day journey hold for me. 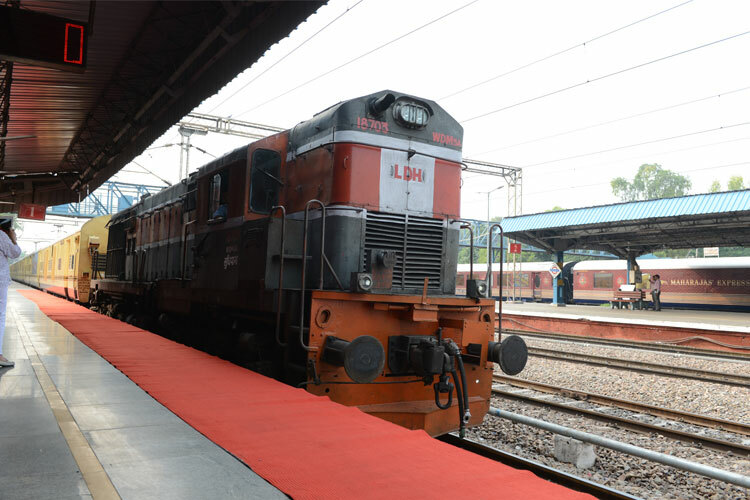 Though I had the complete itinerary with me, the excitement kept on building as the train crisscrossed its way to the land of Maharajas. As I entered the luxury train, I fell in love with the opulence the cabins or coaches possessed. Each of the coaches is named – Chandra Mahal, Moti Mahal, Umaid Palace, Hawa Mahal, Kumbha Palace, Lalgarh Palace, Jal Mahal, Sukh Mahal, Padmini Mahal, Surya Mahal, Phool Mahal, Jogi Mahal and Kishori Mahal, after the palaces in Rajasthan. While each of the coaches has three deluxe suites named after precious stones – Ruby, Sapphire and Pearl. I wanted to experience luxury at the utmost and hence booked my super deluxe suite named – Emerald, while the other one is named Diamond. Before the train halted at Jaipur, I settled back in my comfortable queen-sized double bed to sip my hot cup of tea and read a lot about Jaipur. While reading, I enjoyed the mesmerising scenery that flew past. The suite with beautifully carved furniture pieces – chairs and writing desks, was just complete. Giving the suite its royal touch was the majestic décor and the furnishings. I had my own air-conditioned car that ensured my sight-seeing trips were comfortable and luxurious at the same time. As the train halted at Jaipur, I was enthralled by the majestic beauty of this place. I took a stroll around the famous monuments and experienced the grandeur in each of them. Standing tall while enchanting the grandeur in the midst of barren landscape was the Amber Palace. Then there was Hawa Mahal and City Palace which spoke of sheer royalty. Next, was Sawai where I got to meet some exotic animals at the Ranthambore National Park. It was an experience of a lifetime to great come face to face with the majestic Tigers. Day four and I was in Udaipur popularly known as ‘City of Lakes’. I was breathless, and Udaipur has that aura that does that to you! I was amazed at the magical sight of the large golden ball melting into the Lake Pichola. I was captivated by the sheer beauty of this city for it is a lovely bride, adorned by its royal culture, history and not to forget stunning landscapes. I knew it was a long journey and decided to relax in Rejuvenation Spa Car. The Ayurveda treatment and massage was all I needed after a long tour. Next stop was Jaisalmer, the land of sand dunes, where I got an opportunity to visit the famous Gadsisar Lake, and the royal Havelis. I experienced a wonderful camel ride on the golden brown heated sand. Next was Jodhpur, where I visited the famous Mehrangarh Fort which spoke of glory and grandeur. Another architectural marvel in Jodhpur was Umaid Bhawan. After Jodhpur, on the seventh day, we headed to Bharatpur/Agra and lastly to Delhi, which was also the end destination of my memorable journey. Well, all thanks to Worldwide Rail Journeys for making this luxury train journey on Palace on Wheels a memorable one. I am also thankful for the constant support I received from the experts from the beginning of my journey and to the end of it. I will definitely recommend my friends to book their luxury train tickets through WorldWide Rail Journeys, for a completely luxurious and comfortable experience!